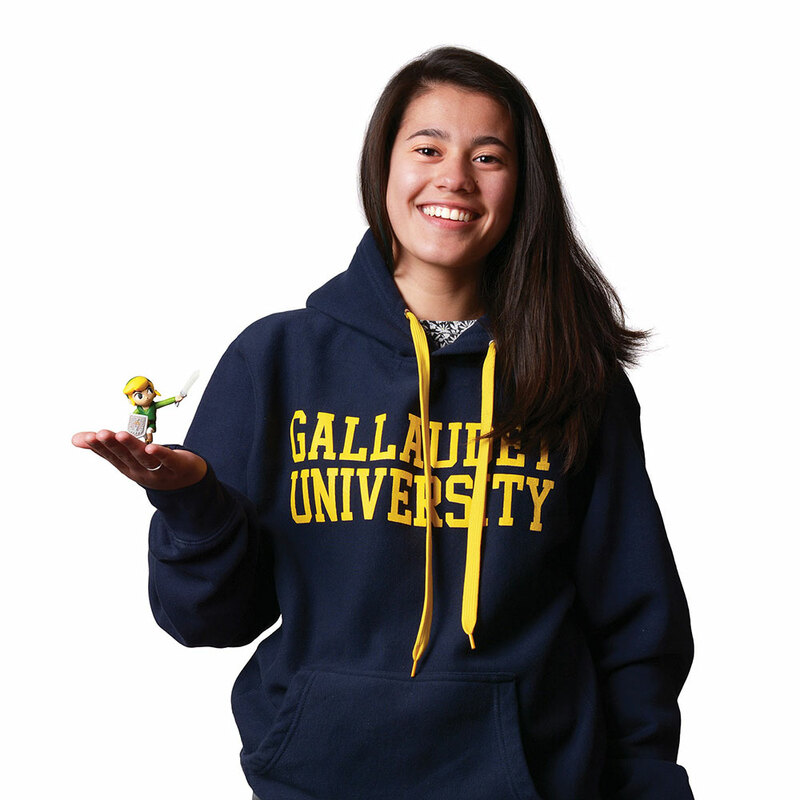 One symbol of Catalina Valdez’s fun personality is the action figure she brought to this photo shoot. It was a gift from a co-worker and serves as an inside joke. She adds worth ethic to her playful side, earning a black belt in kenpo karate while excelling in the class room. Mini-resume Speaks sign language, involved with the deaf community, 3.97 GPA, Code to Success graduate. Plans after high school BYU in the fall, hopefully BYU-Hawaii in the winter. Learn as much as possible. Keys to happiness in high school Be involved in the things you’re passionate about, especially if it means going out of your comfort zone. Advice for freshmen Make sure your perspective is always wider than high school. Guilty pleasure Sushi and OG Taylor Swift. Most common thing parents say to you Take it one day at a time. Best high school memory Visiting Gallaudet University in Washington, D.C., with my ASL class. No. 1 thing learned in high school Be vulnerable enough to ask for friendship. Best advice you received If you lose your humility, that’s when your growth stops. Stress management I take a second to gain perspective. I remember the most important things are other people and my relationships with them. How will you change the world? By keeping my relationships genuine and always seeking to teach and learn.